Bestselling author of The Bones of You, Debbie Howells, on the difficulties of proving anyone's innocence. Bestselling author of The Bones of You, Debbie Howells, on whether you can ever really know who is innocent and who is guilty. On the subject of innocence, can you ever be sure? When evidence can be hidden – or fabricated – when memory is unreliable, when people are complex and may have their own agendas . . . a suspect could be innocent yet have no alibi. How do you know who to believe? Learning about extreme relationships has also made me think that there can be layers of guilt. Should the responsibility for dysfunctional behaviour sometimes be shared by a number of parties? Such as the parents? The abuser–victim dynamic can be learned during childhood. As adults, abusers act the way they do because it’s what they know, and their surroundings enable them to do so. They know what they’re doing, of course they do, yet because of their upbringing, abnormal justifications are in place and their moral judgement is, at best, questionable. In both The Bones of You and The Beauty of the End, the murderers are, on the face of it, unlikely – at least, they are to me. As a writer, you want the reader to consider a number of potential suspects. It’s interesting, though, how these are perceived by readers, which poses the question: what makes someone a ‘likely’ or ‘unlikely’ murder suspect? For some, it seemed a reasonable supposition that my unlikely suspect was guilty, while to others, it came as a complete surprise. What interests me is why. I think, as with most of life, that our interpretation of events – maybe our morals, too – are affected by our life experience. Our upbringing, the people we’re exposed to, situations we’ve encountered. What we know has happened before; how improbable it seems that a certain type of person could be a murderer. All of these shape our judgement of what is believable. And when it’s someone you know, then it’s next to impossible to leave all subjective judgement out of it. It’s why selected jurors who know anyone involved in a case will be asked to step down. Can you really believe everything people tell you? What are we not being told? As with writing a crime novel, the telling of information is selective. How do you know what’s being held back? There’s the question, too, of how much more trustworthy your witness is than your suspect. Isn’t it possible that a suspect could have been set up, a whole backstory carefully set in place and painstakingly planned? The crime behind a crime . . . of course, criminal investigations take all this into account – but even so, there are no certainties where people are concerned. It makes you think. It also makes for great material when writing novels. 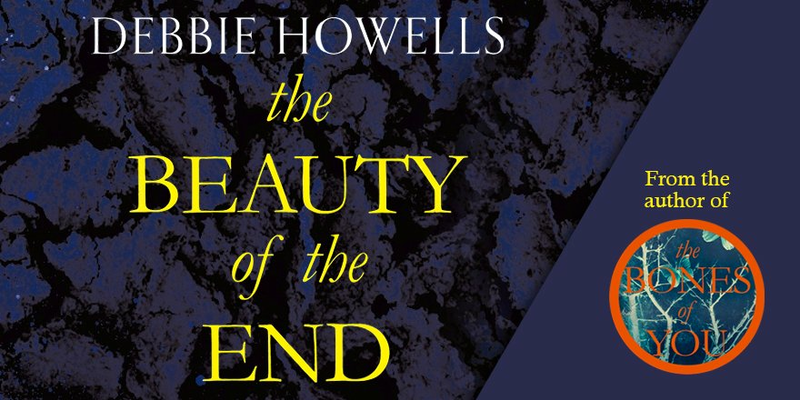 Debbie Howells' The Beauty of the End is out now. Ex-lawyer Noah has never forgotten his first love. When, years later, he hears that she's suspected of murder, he knows with certainty that she's innocent. With April on life-support and the evidence pointing towards her guilt, he's compelled to help her. But he's also unprepared as he's forced to confront what happened between them all those years ago. April Moon had loved Noah. She never wanted to hurt him. But there was something - and someone - dark in her life which made happiness together impossible.